Take a guided tour at historic Davidson Whaling Station – discover how killer whales helped the Davidson family. And when you're done, finish the day with a picnic at the nearby beach. 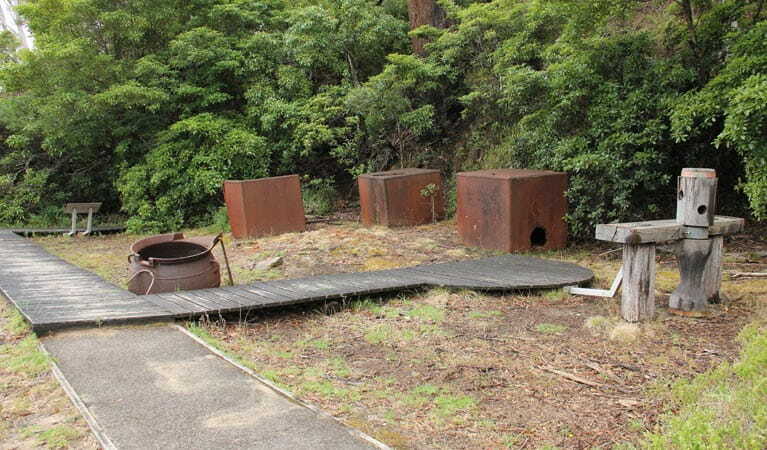 Entry to Davidson Whaling Station Historic Site is available at any time without a guide. Tours operate during the Eden Whale Festival. Please contact the park office to arrange a tour. The road to Ben Boyd Road is sealed, followed by 4km of unsealed road. 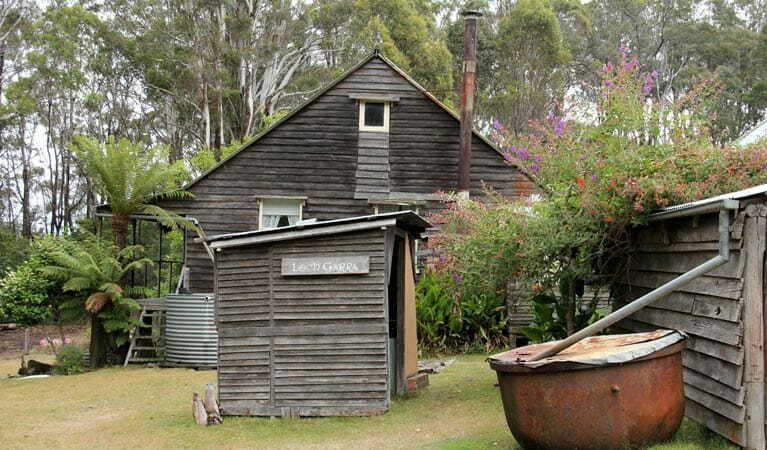 Discover a lifestyle from the past at Davidson Whaling Station historic site, located at Kiah Inlet on the shores of Twofold Bay, just a short drive from Ben Boyd National Park. 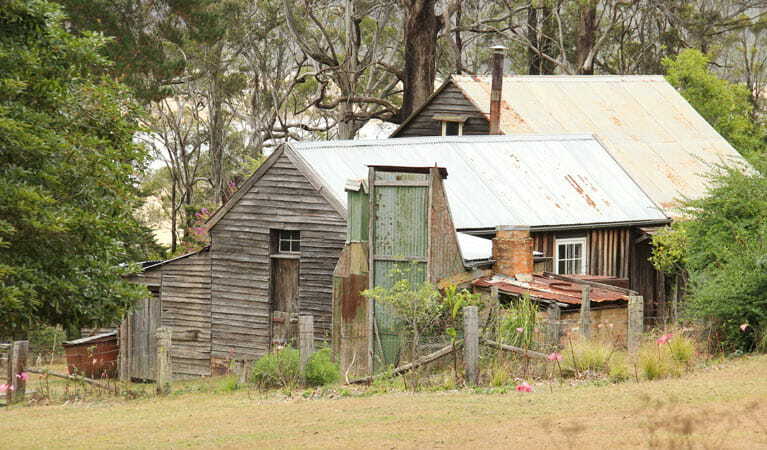 Plan a trip in the summer or easter holidays or during the Eden Whale Festival and take a guided tour to see the fascinating 1890s weatherboard homestead. See where the Davidson family took to the seas, assisted by a pack of killer whales. The skeleton of the pack’s leader, ‘Old Tom’, is today displayed at the Eden Killer Whale Museum. Check out the historic try-works, where blubber was processed, and learn all about the whaling operation. Walk a few steps to the beach to enjoy a picnic, swim, or just feel the sand between your toes. 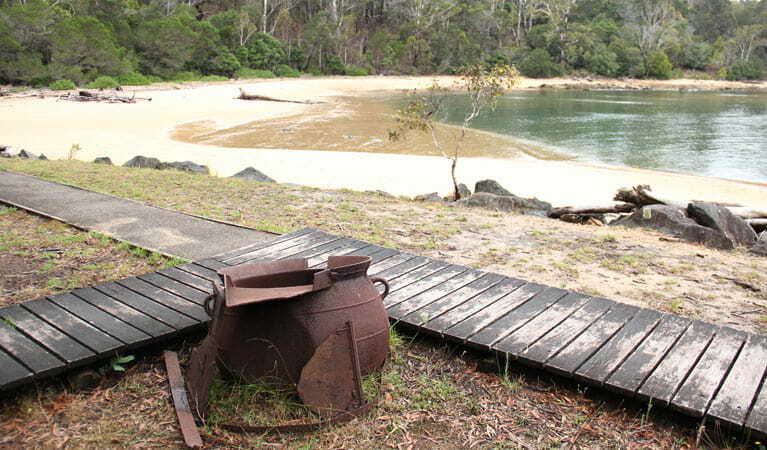 Tour historic Davidson Whaling Station in Ben Boyd National Park, and discover Eden's fascinating whaling history. Re-visit the incredible time when humans and wild orcas hunted together. Monday to Friday and some weekends during peak holiday periods, 10am to 3pm. 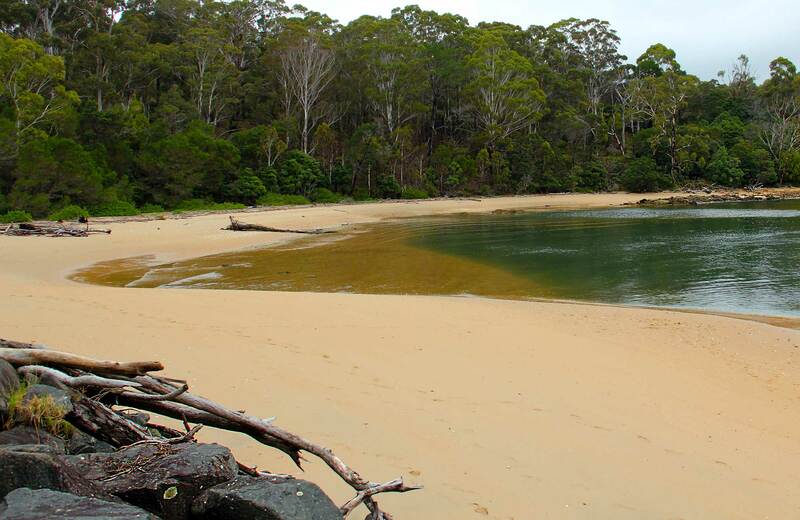 Ben Boyd National Park is always open but may have to close at times due to poor weather or fire danger. $8 per vehicle per day applies in the southern section of the park (south of Eden). There is no park entry fee for the northern section of the park (north of Eden). The park uses a self-registration fee collection system. Please bring correct change. Contact hours: Monday to Friday and some weekends during peak holiday periods, 10am to 3pm.